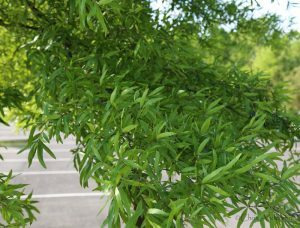 The south boasts some mighty fine natural smells in the spring and summer– honeysuckle, wisteria, lilac, magnolias all in bloom – but the flowers of black locust rank near the top for sweet perfume. With creamy white panicles resembling wisteria, the flowers of black locust (Robinia pseudoacacia) create a stunning display against the delicate green foliage in early summer. Their fragrance wafts through warm air but admirers only have about ten days to enjoy them as they do not last long. Ask any farmer what is the best wood for fence posts and many will likely name locust. Indeed, its longevity, even when in contact with soil, is well known and the early Europeans of Jamestown built their first structures using locust. A century later, Mark Catesby, historian and explorer, noted that these original buildings were still standing strong, attesting to locust’s hardiness. Those who heat their homes with wood stoves eagerly seek out locust as an all-nighter wood that burns hot. As with many native plants, the benefits of locust certainly came from Native Americans. 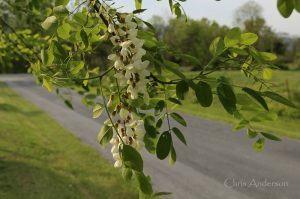 Black locust is native to the Blue Ridge and Appalachian Mountains but Europeans found it growing in the Piedmont and coastal areas when they arrived. 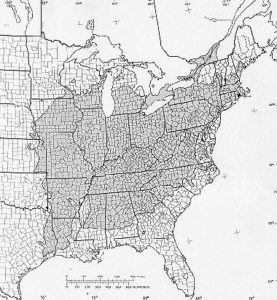 Sophisticated and extensive trade routes existed among Native peoples for centuries and it is likely that Shawnee, Cherokee and/or Haudenosaunee shared seeds of black locust with members of the Powhatan Confederacy and other nations to the east. The strength of the black locust wood made it a preferable material not only for building but also for tools, bows and arrow shafts. 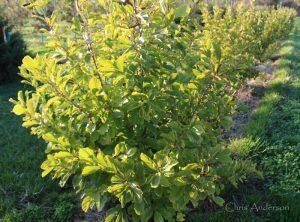 Black locust trees now grow around the world as their reputation as a preferred building material, beautiful landscape tree and source of excellent honey spread and seeds and seedlings were exported to other countries. The scientific name Robinia honors Jean Robin, landscaper and botanist for the King IV of France. Pseudoacacia refers to the leaflets resemblance to the acacia tree. They belong to the legume family and have alternate, pinnately compound leaves with 7-19 oblong leaflets. The distinctive dark, braided bark resembles thick and fibrous rope with furrows and ridges. 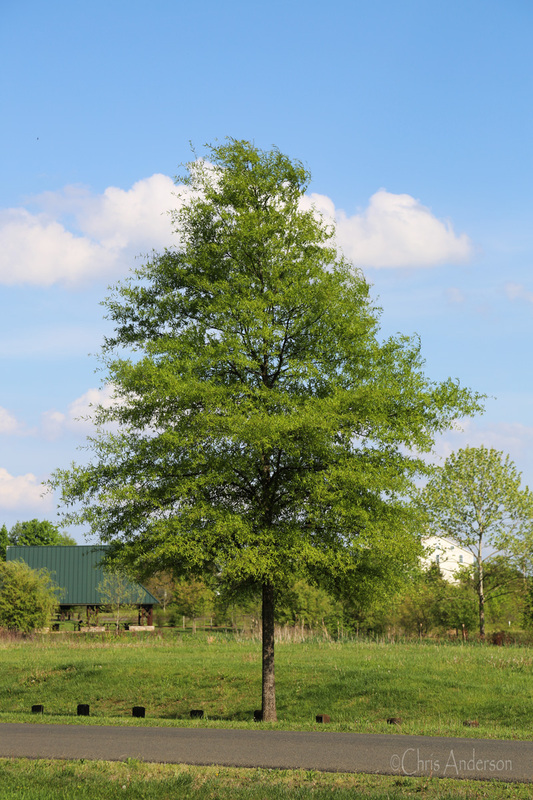 Black locust enjoys full sun and can reach heights averaging 70-80 feet with a diameter of two to three feet. They do not tolerate shade very well. Given plenty of room, they can grow surprisingly attractive and balanced canopies. 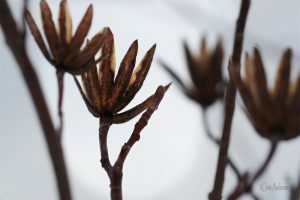 Their seeds resemble flat pods and rabbits, deer, bobwhite quail, mourning doves and others consume them. Honey connoisseurs seek out the light – sometimes almost clear – honey, made more valuable as some years are much better than others for nectar production. 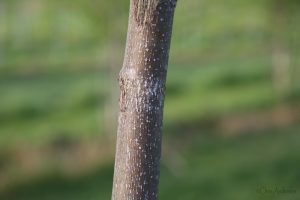 George Petrides and Janet Wehr note in Eastern Trees that young shoots and bark can sometimes be poisonous to livestock. In the landscape, black locust is valuable as a pioneer species, coming up quickly in disturbed sites. As with other legumes, they have the ability to fix nitrogen, an important trait in rebuilding soil structure following disturbances such as fire or land clearing. They are also good at preventing erosion, as their hardiness allows them to take hold and grow fast on slopes. They are often used on mine reclamation sites due to their hardy nature and ability to withstand acidic soils. They are generally not bothered by many pests, though leaf miners can occasionally blemish the foliage. Their tendency for limb die back makes them better suited to larger landscapes away from buildings or parking lots but placed in locations where their fragrant blossoms can be enjoyed and they can spread out unimpeded by other trees. 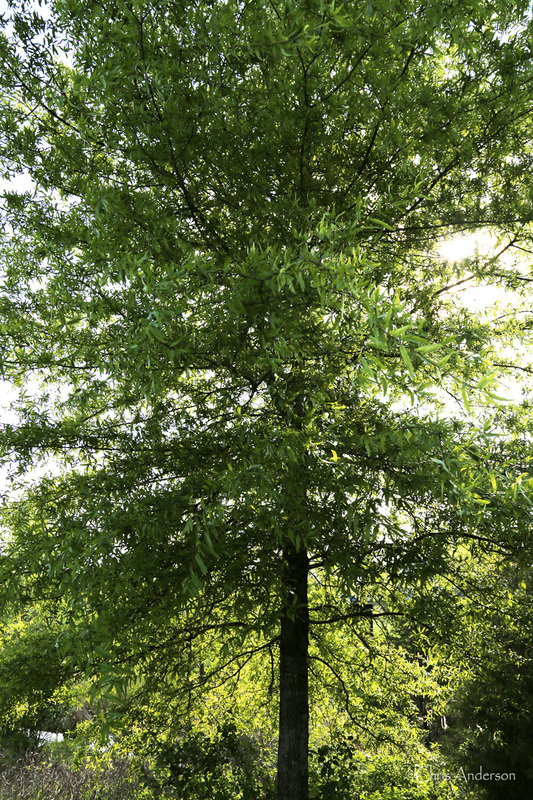 As noted in the book, The Remarkable Trees of Virginia, in 2007, the Virginia champion black locust graced the yard of a home in Wytheville with a height of 95 feet and a circumference exceeding 168 inches. Its canopy spread shows how beautiful black locust can be in the landscape. The current champion lives in Fauquier County in Upperville with a height of 71 feet, a crown spread of 74 feet and circumference of 195 inches. 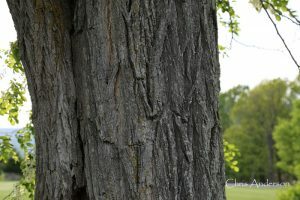 As noted in the Remarkable Trees of Virginia2, in 2007, the Virginia champion black locust graced the yard of a home in Wytheville with a height of 95 feet and a circumference exceeding 168 inches. Its canopy spread shows how beautiful black locust can be in the landscape. The current champion lives in Fauquier County in Upperville with a height of 71 feet, a crown spread of 74 feet and circumference of 195 inches. George Petrides, Janet Wehr, Eastern Trees, (Boston, Houghton Mifflin Co., 1988), p. 230. Nancy Hugo Ross and Jeff Kirwan, Remarkable Trees of Virginia, (Earlysville, Albemarle Books, 2008), p 115. 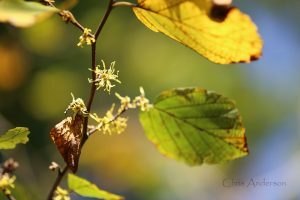 With spidery yellow petals and a delicate citrus scent, the witch hazel (Hamamelis virginiana) flower is unique among shrubs of eastern forests; delicate tentacles extend outwards from the twigs, often overlooked by the foliage on the branches in the fall. 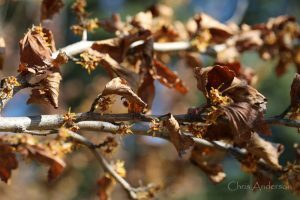 Several hybrid witch hazels bloom in the spring, but our native is a late autumn-blooming beauty. 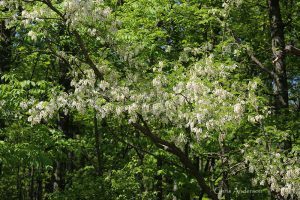 They generally grow 10-25 feet tall as twisted shrub or small tree, frequently tucked under the canopy of other moist, upland eastern hardwood trees. Seeds can shoot up to 20 feet from ripe pods and they often form clumps. Once established, they tend to be pest and disease free and do not require much, if any, care. For full flowering, they require moisture in the summer and a period of winter cold. 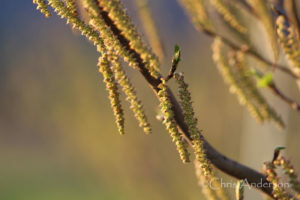 They are unique in North America as they are the only tree with fruit, flowers and next year’s buds on the plant simultaneously. In addition to its attractiveness in the landscape, the medicinal properties of witch hazel are well known by many Indigenous cultures across North America as the shrubs grow from Nova Scotia to Georgia and west to Minnesota and Missouri. Native American Indians were (and are) the first doctors and botanists in North America, understanding the healing properties of native trees, shrubs, and plants and the specific seasons in which they should be harvested. They are related to sweet gum and the common name refers to their use in divining or “witching” water. 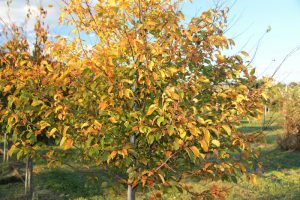 American Forests lists a Russel County, Virginia witch hazel nominated in 2017 as the current national champion. For survivalists and “preppers” and those interested in continuing Indigenous knowledge, witch hazel is a good plant to know and grow. For landscapers, witch hazel offers solid structure throughout the summer and can be planted as a specimen shrub or small tree, border or mixed hedge. They add late season interest, particularly when planted in locations where their sweet flowers can be enjoyed. 1Guide to Popular Natural Products, Facts and Comparisons, Missouri, 1999, p. 228. 2Magic and Medicine of Plants, Readers Digest Association, Inc., New York, 1986, p. 345. 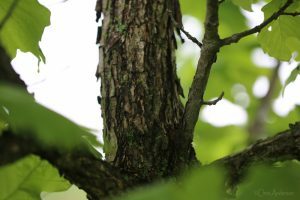 A major and rapid change is occurring in forests of the Eastern U.S. as the emerald ash borer kills one of the most prevalent native hardwood trees. 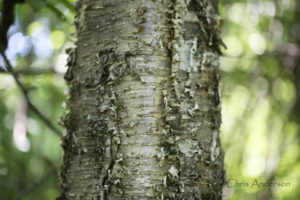 The larvae of Agrilus plenipennis feeds inside the bark of green and white ash killing the tree and, unfortunately, there are no natural predators to keep their population in check. Thousands of trees are already dead or in decline. 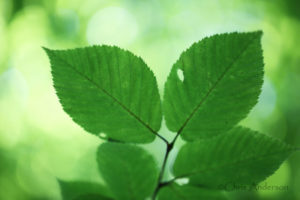 If the trend continues, in a matter of a few years, most ash trees will be gone. 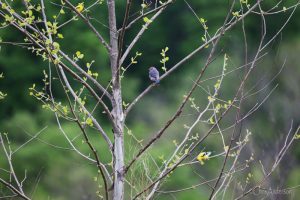 This loss is of particular concern for watershed health as ash trees tend to thrive next to rivers and streams across Virginia and the mid-Atlantic. Trees shade water, lowering temperatures and creating a healthy habitat for native species. They help keep soil in place and decrease erosion and their leaves, twigs, flowers and fruit help support macroinvertebrates. Too, the loss of ash trees opens the canopy, providing an opportunity for non-native invasive species to take hold or expand their coverage. 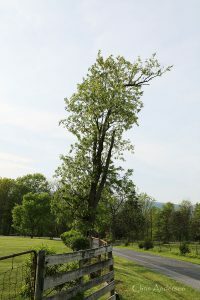 Fortunately, there is a native tree that thrives in the same habitat as ash: sycamore (Platanus occidentalis) can grow up to 145 tall and 14 feet wide; their massive girth makes them the largest of Eastern hardwoods and, according to the Virginia Department of Forestry, the largest deciduous tree in North America. Their large leaves (approximately six inches at maturity) make them ideal for providing shade along water ways or in the landscape. The canopy of mature trees can reach up to 70 feet. Sycamore is one of the easiest trees to identify in the winter with its bold white limbs and trunk. 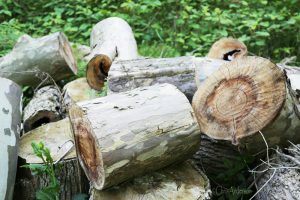 Mature trees naturally shed bark in interesting patterns in shades of cream, tan and light gray. In winter, their fine structure is highlighted in the absence of leaves, appearing like tall, strong bones of the forest. Sycamores are able to handle air pollution better than many trees making them a nice selection in urban areas. Due to their considerable size at maturity, allow them plenty of space to grow, avoiding placing them next to structures, utility lines or pavement which can be damaged by their roots. They are not drought tolerant so should be planted in areas where they get plenty of regular water such as adjacent to streams or ponds. 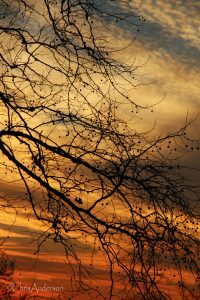 Their shade is welcome on hot summer days but consideration should be given to the copious amount of leaves they shed in the fall if a manicured appearance is desired and the leaves require raking. They can live 500-600 years so make good commemorative trees. Sycamore is prone to anthracnose which can cause some of the leaves to shrivel and turn brown in the spring. Most trees put out new leaves to replace those lost and the fungus is not fatal or even seriously impairs the health of the tree. It can create sprouting branch clusters but these don’t hurt the tree. The benefits to wildlife are many: birds eat the seeds, particularly the diminutive winter residents like goldfinch, dark-eyed juncos, finch and chickadees. Mammals dine on them as well – squirrels, muskrat and beaver. Many an owl has likely passed their day resting in the hollows of sycamore trunks and their twisting roots above ground provide comfortable shelter for hibernating bears. 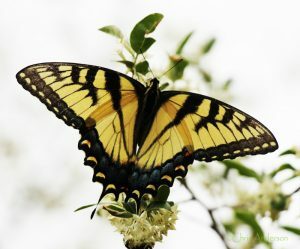 The leaves are also a host to the lovely Eastern tiger swallowtail. Being a native tree, among other uses, Native Americans utilized the wood for cooking utensils and to make dugout canoes due to its strong but light characteristics. A tea can be made from the sap, though it reportedly takes a lot of sap to yield sufficient amounts to taste. The seed ball fluff and peeling bark make for good fire starters, particularly useful in wet conditions. 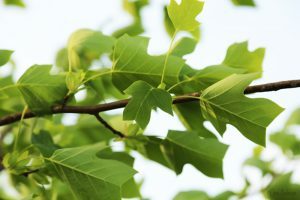 The American sycamore resembles its relative, the London plane tree (Platanus x acerifolia) which is a hybrid between Platanus occidentalis and Platanus orientalis. 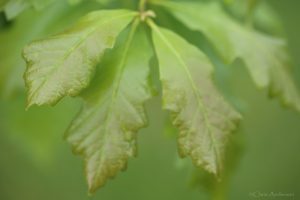 The name sycamore comes from Greek for “fig mulberry” and occidentalis means “of the West” to distinguish it from its European relatives. 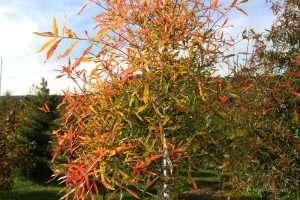 In conclusion, as we sadly witness the disappearance of ash trees from the landscape, at least there is one nice alternative which may be planted in its stead that is both beautiful and valuable to wildlife – both terrestrial and aquatic. 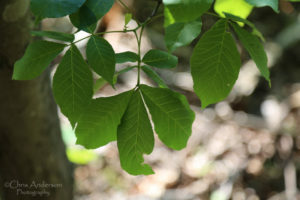 A tree with a common name with ‘swamp’ in it might make you think it thrives in permanently wet environments, however, the swamp white oak (Quercus bicolor) prefers moist soil that dries out occasionally. It grows naturally along streams and rivers and can tolerate spring floods but also can handle periods of drought as it develops a bi-layer root system: the upper roots grow fine when being submerged by flood waters and the deeper roots seek soil moisture during dry times. This is a usual weather pattern here in the Shenandoah Valley where Page County receives 39 inches of annual rainfall with typically wet springs and periods of drought in August and September. 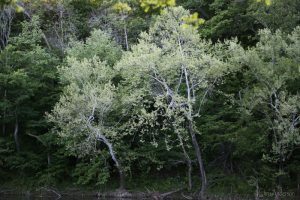 Swamp white oak is often found growing alongside other bottomland species such as hackberry, black walnut, shingle and pin oaks, American elm, silver maple and river birch. It grows comparatively fast, attaining mature heights of 60-70 feet (considered medium height by tree standards) with a trunk diameter of 2-3 feet. Among the other oak species which thrive in hydric habitats are the overcup oak, swamp chestnut, shingle, bur and cherrybark oak. 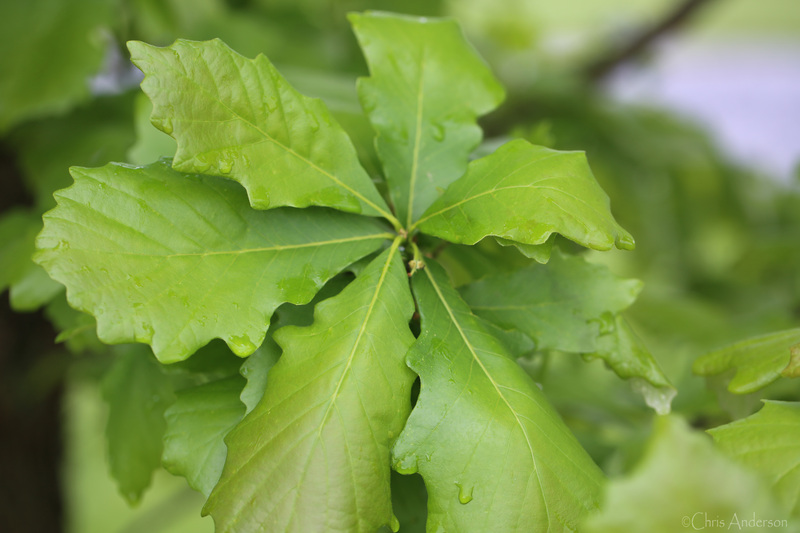 Those which grow best in xeric conditions are post oak, blackjack, bear, chinquapin and chestnut oak. 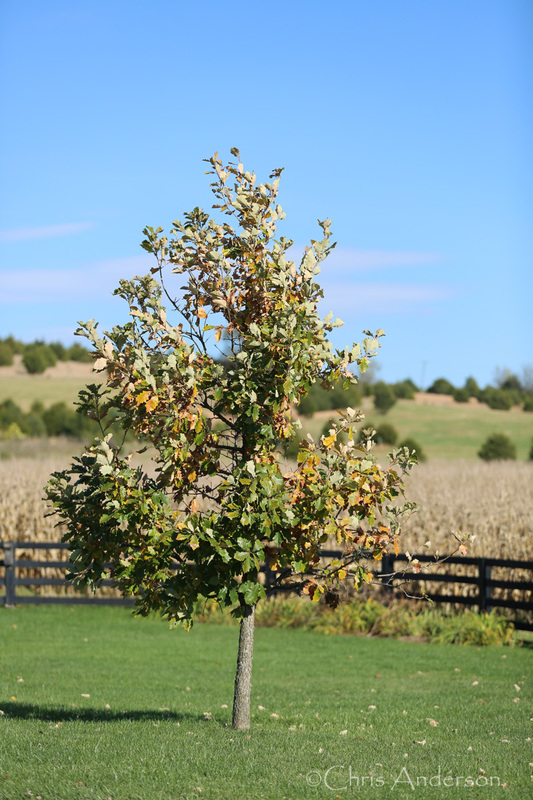 In the landscape, swamp white oak likes more acidic soil and is vulnerable to soil chlorosis (where soil is too alkaline) and should be planted where the pH is about 4.5-6.0. The Latin name bicolor refers to the two-toned leaves – glossy green on top and silver white underneath. The underside is glaucus and feels almost like soft fur, an easy identifying characteristic. Swamp white oaks are legacy trees, growing for 350 years or more. These ancient sentinels are witness to much human history but sometimes get intertwined with our dramas and sadder sagas. Such is the case with the swamp white oak in Highland County included in the Remarkable Trees of Virginia book*. Some stories associate this tree with hangings but the oral history most validated is that it grew in proximity to a European homestead which had encroached on Native American’s ancestral lands. In 1763, a fight broke out when warriors enforced the established boundaries as agreed to in signed treaties. Several Europeans were killed and we do not know how many Indigenous people lost their lives. Native deaths are not often included with accounts of such encroachments. What we do know is this swamp white oak tree has lived in an open meadow looks and, due to its size, appears like it could have been alive in the 1700s. It also happens to be the state champion, towering upwards for 70 feet and solidly anchored by a trunk that is almost eight feet in diameter. 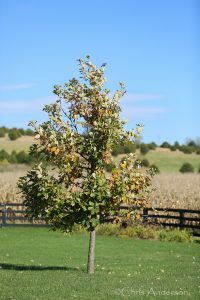 In summary, swamp white oak makes a great shade tree in the landscape and is a great choice for problematic areas which are wet in the spring and experience drought in the fall. * Hugo, Nancy Ross and Jeff Kirwan, Remarkable Trees of Virginia, (Virginia, Albemarle Books, 2008), p. 28. The walnuts are hanging green heavy on their branches in the Shenandoah Valley, ready to drop with a waft of wind. Through the mist of foggy mornings, hackberry leaves are turning yellow, about the same shade as paw-paw foliage, and are beginning to welcome the change of seasons as autumn creeps through the forest. It is early fall and the woods are full of activity as squirrels scoot around, gathering acorns and hiding their caches, perhaps to be revisited later in the winter, possibly forgotten and left to lucky marauders. 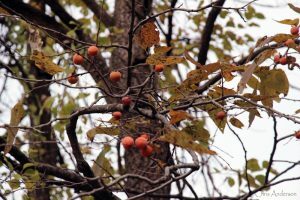 Persimmons (Diospyros virginiana), one of the most prized of the late fall fruits, are steadily ripening on their branches, a treat for almost all forest animals including opossums, raccoons, skunks, squirrels, deer, fox and birds. Many small insects enjoy the bounty as they make quick work of the soft sweet fruit when it falls to the ground in early winter. In forestry circles, there are a few jokes that are guaranteed to entertain all but the one who bears the brunt of the amusement: such is the case with convincing an unsuspecting victim to bite into an unripe persimmon. In a matter of seconds, it feels like every ounce of moisture is vacuumed from one’s mouth, an uncomfortable sensation that persists for much longer than it seems like it should. Care should be taken when eating persimmons to make sure they are sufficiently soft and ripe, generally late fall to early winter. The fruit pulp can be made into bread, pies, pudding, molasses, beer and vinegar. Called ‘nature’s sugarplums’ by Euell Gibbons, he recommends harvesting ripe fruits by spreading a tarp under the tree and shaking the branches. The name ‘persimmon’ is derived from putchamin, pasiminan, or pessamin, from Powhatan, an Algonquian language of the eastern United States. The Latin name Diospyros comes from the ancient Greek word for “divine” and “grain”. 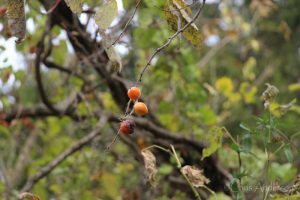 Persimmons grow across the entire eastern half of the United States and can thrive on rocky slopes, river bottoms and adapt to about every woodland situation in between. They are hardy, often enjoying edge habitats and are medium in stature, growing to heights of 40 to 60 feet with diameters of one to two feet. The genus Diospyros has around 450 species: 200 or so in lowland Malaysia; quite a few in tropical Africa; somewhat fewer in Latin America; some in Australia and India; and a few outliers in the United States, the Mediterranean, and Japan. Belonging to the ebony family (Ebenaceae), persimmon wood is very hard, close grained and dark brown to black with the sapwood and heartwood a lighter shade. The wood is made into golf club heads, weaving spindles and shuttles as it can withstand force. It makes for strikingly beautiful musical instruments, boxes or small pieces of furniture. The City of Suffolk boasts the state champion persimmon with a height of 85 feet and circumference of 152 inches. Champion trees are ranked by height, canopy spread and trunk circumference on a point system, and, at 254 points, this fine specimen almost meets the measurements of the national champion in Ohio which comes in at 256 points. One of the easiest ways to recognize the persimmon tree is by its distinctive chunky bark which resembles charcoal briquettes. 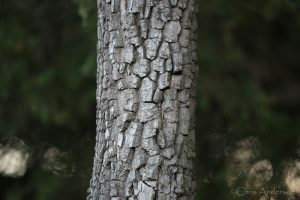 Deeply fissured, the bark is easy to spot as no other bark has the same type of deep box-like indentations (though dogwood are similar, they are not as deeply carved as persimmon bark). In a mature forest, a whole world of fascination can be discovered by examining this type of tree bark with a magnifying glass. A subtle web of life consisting of lichens, caterpillars, resting moths, beetles and other tiny beings often make their homes or seek temporary refuge in the protection of such patterned bark. 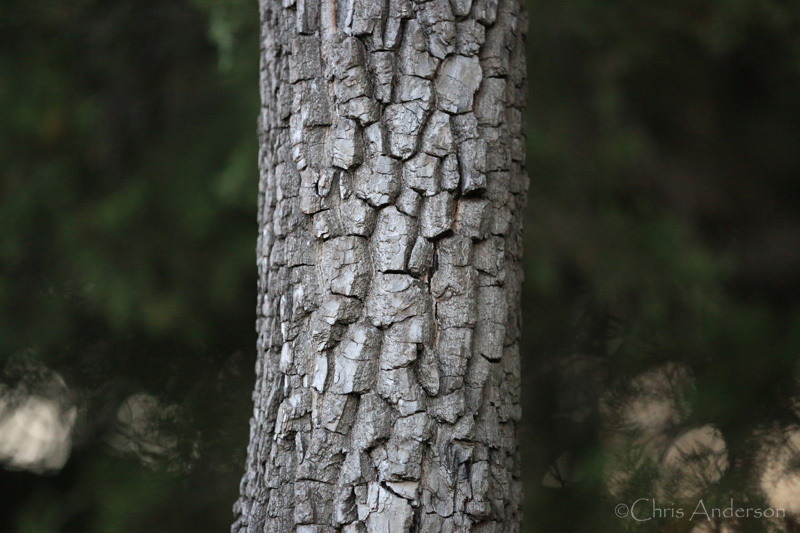 Cottonwood, dogwood and white oak are also good candidates for such detailed examinations. 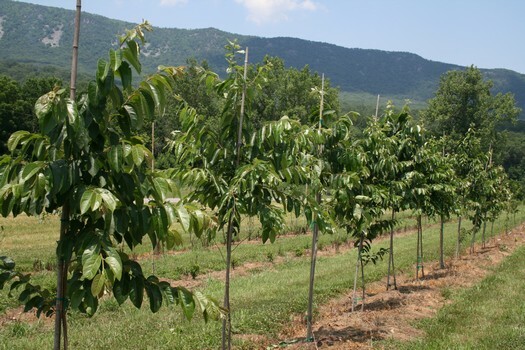 In the landscape, persimmon trees can be multi-trunked or pruned into a single-trunk leader. The branches droop gracefully and with the oblong, ovate leaves, have a slightly tropical appearance. In autumn, the leaves turn shades of yellow but can also range into oranges and reds. They leaf out late in the spring, and flower after the leaves have grown to a moderate size. They are dioecious so, if being grown for their fruit, a male and a female should be planted in proximity to one another. Once established, they tend to grow without significant threat from pests or diseases, bear fruit in seven to eight years, grow quickly (and colonize from their root system) and can grow in full sun to part shade. 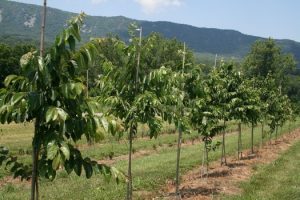 The persimmon is a nice native tree and a good choice as a specimen or for soil stabilization purposes. Euell Gibbons, Stalking the Wild Asparagus,(New York, David McKay Company, 1962), p.164. Colin Tudge, The Tree, (New York, Crown Publishers, 2005), p.229. ‘Forest bathing’ began in Japan in 1982 when it became part of the national health program. It consists of a meditative stroll through the woods with a focus on really hearing, seeing and sensing the woods such as by noticing the textures and colors of trees, the motion of branches and listening to the sounds of birds and other wildlife who share the space. It is catching on in the U.S. and, as anyone who gets out in nature regularly can attest, is a simple way to feel better physically and mentally. Medical science is also realizing the benefits of forest bathing by lowering blood pressure, stress hormones and blood glucose levels. One of the best things about this simple therapy is that it is free and available to everyone. 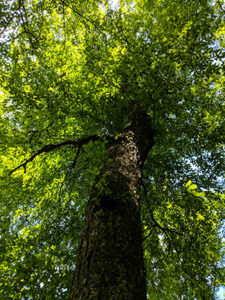 However, for those who don’t have easy or regular access to forests or the mobility for a proper forest bath, the willow oak may provide a similar benefit simply by sitting nearby and gazing up into its canopy watching its leaves which move in a graceful and mesmerizing fashion with the slightest breeze. Shaped like willow leaves, the willow oak (Quercus phellos) is actually not related to willows and instead, belongs to the red oak section of the oak family (genus Quercus, subgenus Quercus, section Lobatæ). The leaves are long (two to five inches), smooth and tipped with tiny bristles. They are alternate and even though most guidebooks note them turning yellow in the fall, at White House Natives, they tended to be more of a lovely crimson-orange last autumn. Willow oaks frequently line city streets and urban landscaping including parking lots as they are long-lived, don’t require much care, are virtually pest- and disease-free and are shallow-rooted, making them easy to transplant and they don’t tend to buckle asphalt as much as other medium to large hardwoods. They still need plenty of space to grow as they typically reach heights of 50-80 feet (max. 120 feet) with pyramidal shaped canopies when young and maturing into an oblong shape at maturity. In lower-light situations, they benefit from light pruning to encourage a balanced, strong and full canopy. They require regular deep watering, particularly when getting established, and can benefit from staking when transplanted at smaller caliper sizes. They can tolerate a wide range of soil types but benefit by more acidic pH levels but are tolerant of drought and air pollution. To be the happiest, they enjoy regular water and grow naturally in rich lowlands, swamp, river bottoms, floodplains and rich sandy uplands. 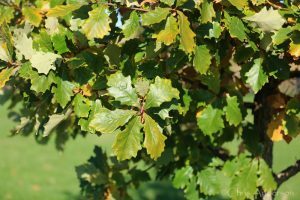 When planted in full sun, they create valuable shade in park and urban settings and their acorns tend to be shallow and more saucer-shaped than other oak trees. These acorns are relished by squirrels, raccoons and deer and in more rural settings and in the forest, acorns provide the bulk of winter food for wild turkeys. In its most southern range of Mississippi and Arkansas , the willow oak can occasionally remain evergreen throughout the year. In conclusion, if you need to relax, you might try the new therapy called tree bathing. Most people who love and are fascinated by trees would agree that getting out on a trail to makes them feel better without needing to cite medical studies. 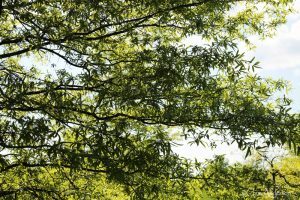 Trees are not only necessary for our survival by sequestering carbon, helping keep our water ways clean of sediment and pollution and producing clean air but just may be key to our mental well-being. So go ahead, take a walk in the forest or try placing a chair, hammock or blanket underneath and commune with a favorite tree. 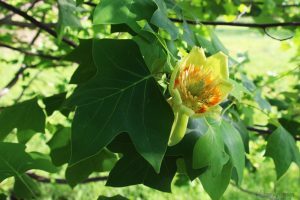 The tulip or yellow poplar (Liriodendron tulipifera) is one of the largest and most valuable hardwood trees in the United States. Its trunk grows straight and uniformly up to the first branches and develops a broad, columnar shape. 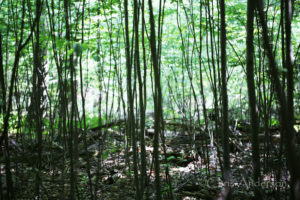 Yellow poplar stands are also popular with mushroom hunters as the prized morel mushroom grows best under these trees. The tulip tree is a member of the magnolia family and there are only two species, one native to the eastern US and the other native to central China. It has numerous unique characteristics from large yellow flowers with orange highlights to odd shaped leaves. The Greek genus Liriodendron means lily tree and the specific epithet, tulipifera means tulip-bearing. Linnaeus, when he named this tree, was obviously emphasizing the tulip-shaped leaves and the large summer blossoms, and maybe even the flowerlike design of the winter seeds. 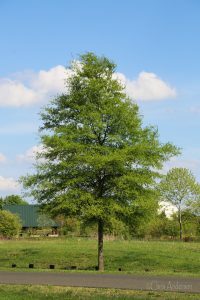 When planting it in the landscape, give it plenty of room as it can grow up to 200 feet tall and has an average life span of 250 years (maximum of about 450 years). In the wild, they favor rich woods and grow well with other mixed deciduous trees. The American tulip tree yields a creamy timber, with streaks of olive green, black, pinkish brown or even steely blue from growing in mineral soils; it is much valued for carving as well as for doors and such like. 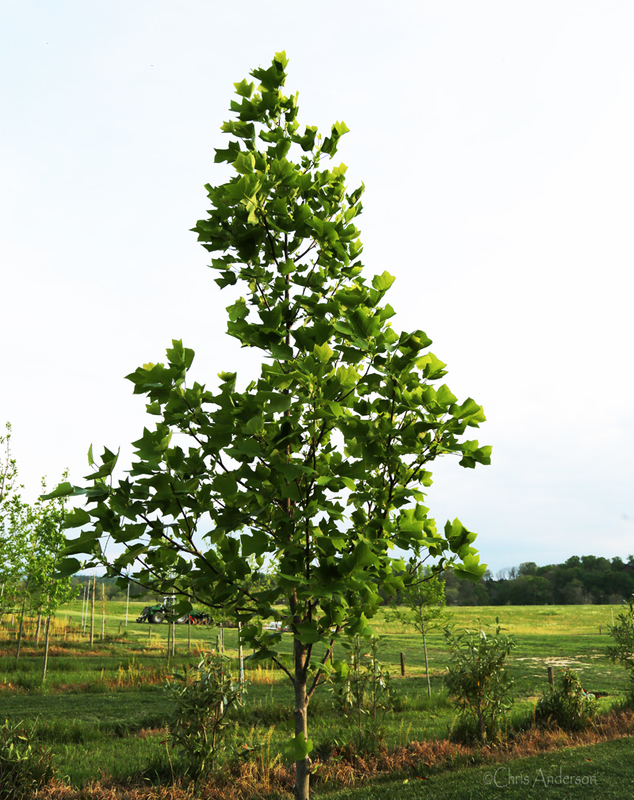 As a timber tree, Liriodendron is sometimes known as yellow poplar and is sold as American whitewood. Due to its unique beauty and value as a timber tree the tulip tree is the state tree of Indiana, Kentucky and Tennessee. 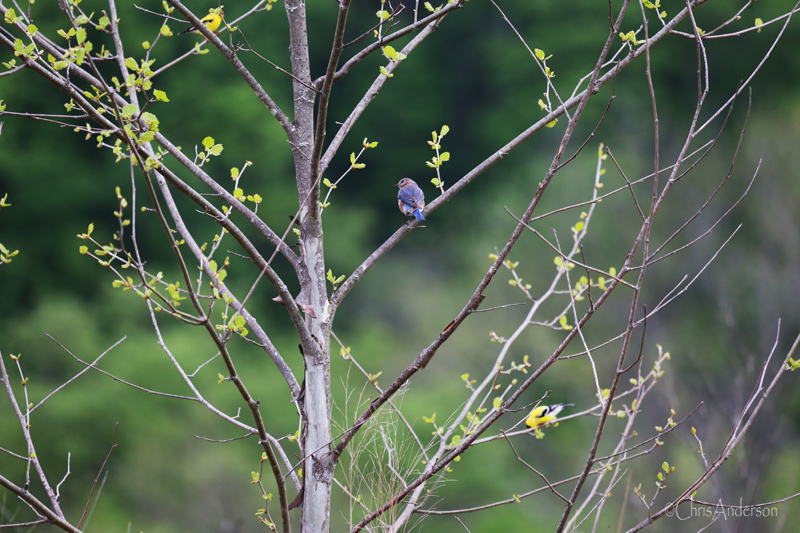 However, despite its aesthetic appeal, the tulip tree is not ranked very high for wildlife value. According to Douglas Tallamy, ‘Tulip tree is one tree species that has done particularly well in the absence of chestnut, and it is now the dominant species in many forests in the East. Unfortunately, it is one of the least productive forest species in terms of its ability to support wildlife – insects and vertebrates alike. Tallamy includes poison ivy and ferns in the species that few caterpillars can eat while oaks, willows, and cherries host over 1400 species between them (Tallamy, 145). 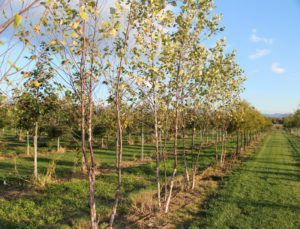 However, tulip poplars have many other ecological values: deep and extensive roots help hold soil in place; its fast-growing nature provides a valuable choice for quick establishment in the landscape, a wide canopy provides nesting sites for birds and the leaf litter falls to the forest floor enriching the soil. 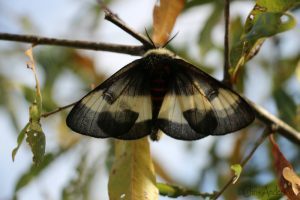 It may not support a large list of caterpillars, but it is favored by one of the prettiest and most showy: the larvae of the tiger swallowtail (Papilio glaucus) eat the leaves (in addition to black cherry but they will also consume willow, ash, basswood and birch as well. (Tallamy, 118). The seeds provide some small value to wildlife as they persist on the tree through winter. Another good way to recognize the winter tree is by its flattened end buds. They are shaped like a duck’s bill and the twig adjacent to them tastes at first like sassafras, then seems slightly bitter. (Stokes, 141). Virginia is home to four significant tulip poplar trees. 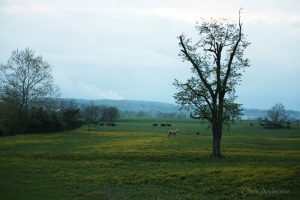 In Remarkable Trees of Virginia, they are listed under the chapters of old trees (Greene County), historic trees (Albemarle County), champion trees (Bedford) and unique trees (Gloucester County). Powell, Ellen., 2012, Common Native Trees of Virginia, p. 75. Tudge, Colin., 2005, The Tree, Crown Publishers, New York, p. 126. Tallamy, Douglas., 2007, Bringing Nature Home, Timber Press, Portland, p.74. Hugo-Ross, Nancy, Remarkable Trees of Virginia, 2008, Albemarle Books, Virginia, p. 18. 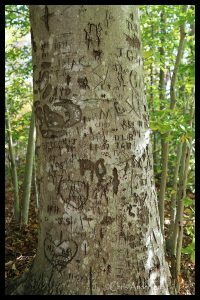 The easiest way to describe the American beech (Fagus grandifolia) to those who may not be familiar with it is ‘it’s the one with the smooth silver bark on which people tend to carve their initials’. 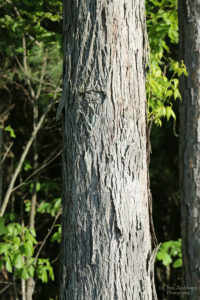 The bark is extremely delicate and is easily injured, creating permanent scarring from which the tree doesn’t recover. 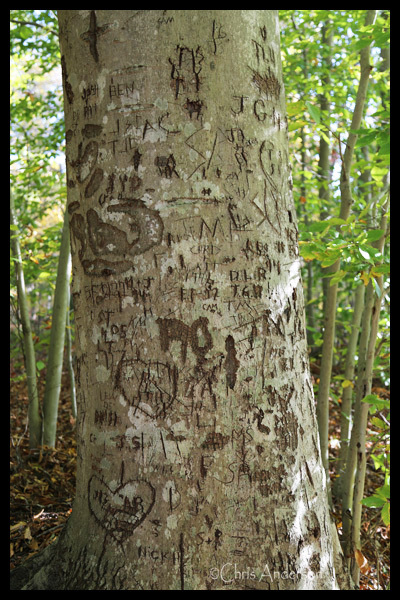 Such marks are not only permanent on the trunk but they will be around a long time as the tree is very long lived, growing to ages of 300-400 years old. Among American broadleaves only the white oak and sugar maple are said to live longer. Mature trees can reach heights of 50-70 feet with impressive canopy spreads of up to 40 feet, providing excellent shade and serving as an appealing specimen tree. In the fall, they turn bronze to yellow and their leaf litter feeds the soil underneath, creating a rich microbiome which supports the tree’s health and that of its forest or landscape neighbors. 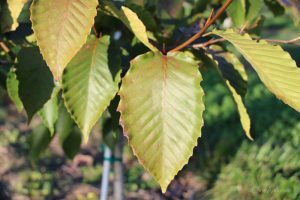 Typically, beech are slow growers which makes them an excellent choice for legacy trees, those special trees planted in memory of a loved one or to mark an important event. 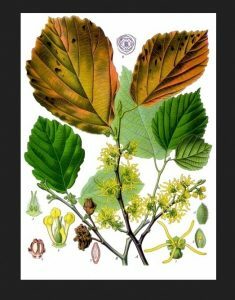 Beech thrive on a range of soil types from basic to acidic but are a little finicky in their water requirements: They require well-drained locations as their roots do not do well in water-logged situations but are also drought sensitive so need adequate, regular water. 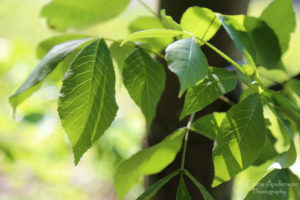 According to the National Arbor Day Foundation, the American beech grows best in acidic, loamy, moist, sandy, silty loam, well-drained and clay soils. 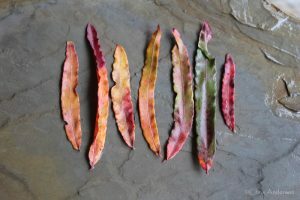 They are also easy to recognize in the winter as they tend to hold on to their brown leaves, providing a memory of the previous season’s growth and the promise of a return of green foliage in the spring. They are one of the few species that can germinate and do well in the shade of a mature forest canopy. 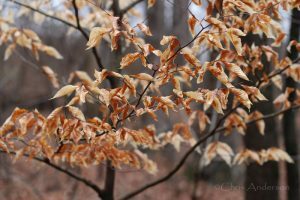 Unfortunately, like many of our native tree species, the beech is under attack: Beech bark disease is a fungal infection introduced by a scale insect and, under severe conditions, can kill the tree. Also, the beech blight aphid (Grylloprociphilus imbricator) is a common pest of American beech trees. 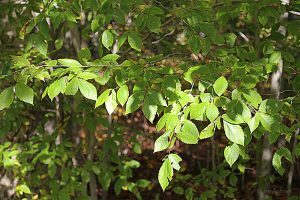 However, the benefit of beech to wildlife is outstanding: Like basswood, the American beech is the only member of its genus in North America, yet it supports over 100 species of Lepidoptera. 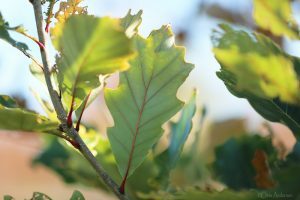 On a per-species basis, this makes beech more productive in its support of wildlife than even the number-one ranked oaks. The beech often seen in landscaping is the European beech (Fagus sylvatica) and there are many cultivars such as the weeping and tri-color beech, however, in North America, the native beech more reliably supports native insects, birds and butterflies in Virginia and the mid-Atlantic. Tudge, Colin, 2005, The Tree- A Natural History of What Trees Are, How They Live, and Why They Matter, Crown Publishers, New York, p. 196. Tallamy, Doug, 2007, Bringing Nature Home, Timber Press, Portland, p. 194.